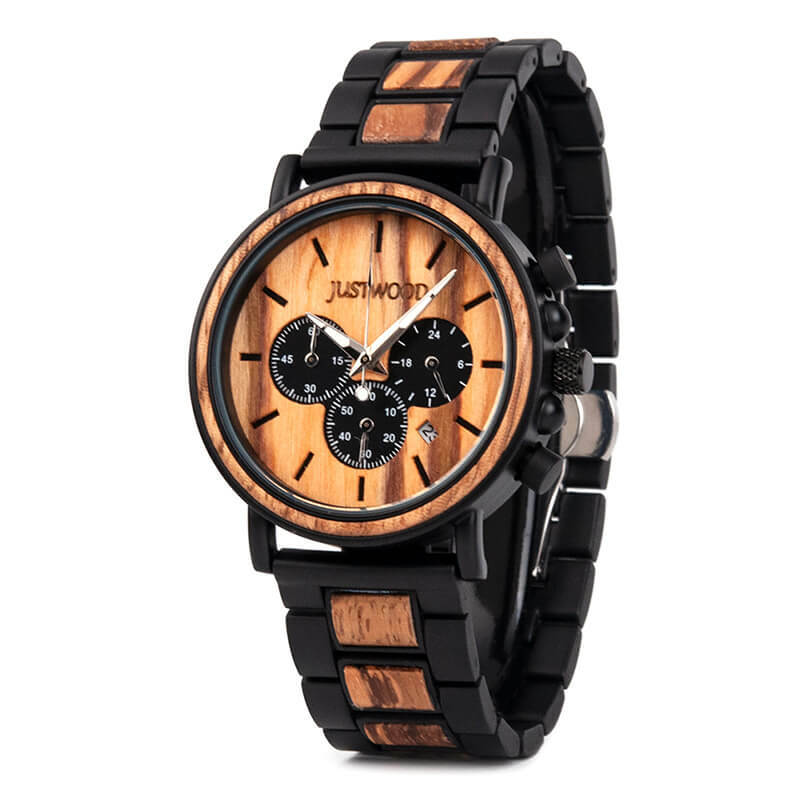 Making quite a bold statement, the Coachmen Zebra sports inspired men’s watch presents with a two-tone zebra wood/steel band with a hidden folding clasp. 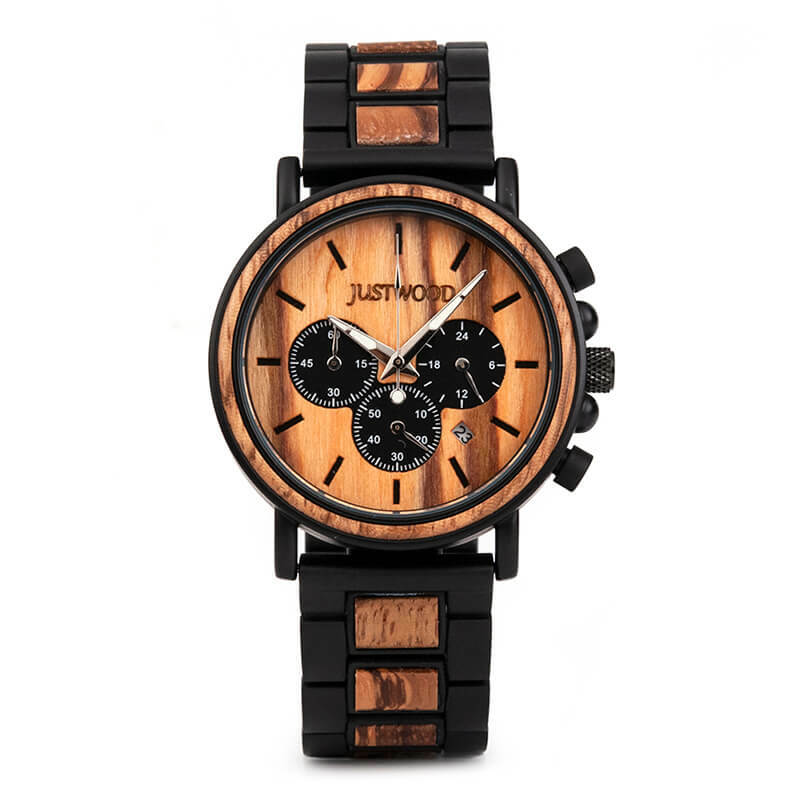 Our Coachmen Zebra watch is rugged in both structure and colour and should not be considered just a fashion piece. 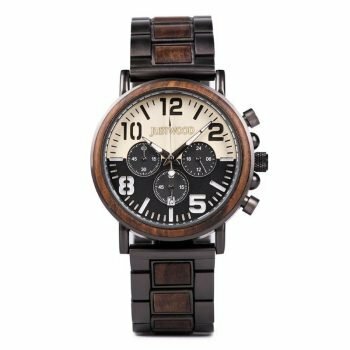 Making a modern and strong statement with the added features of a stopwatch function (the main ‘seconds’ hand being the stop watch indicator), truly adding plenty of value and function to this watch. 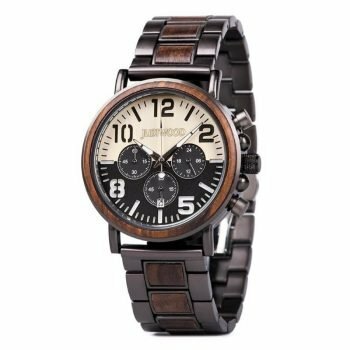 A third dial balances the face of the watch displaying 24hr time alongside an offset ‘date’ window.The rear cover is stainless steel. 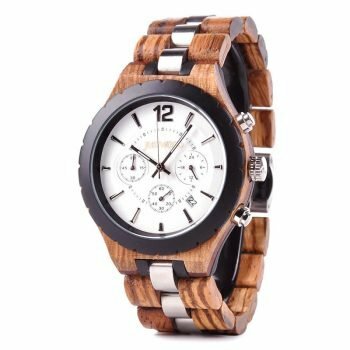 The Coachmen Zebra Men’s Wooden Watch is a rugged and robust watch that uses two toned zebra wood to make its accents pop to life. 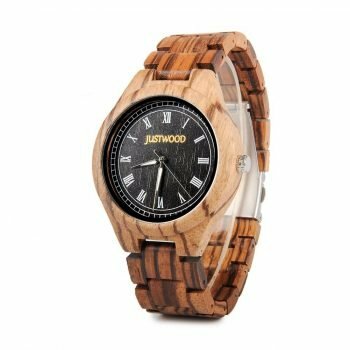 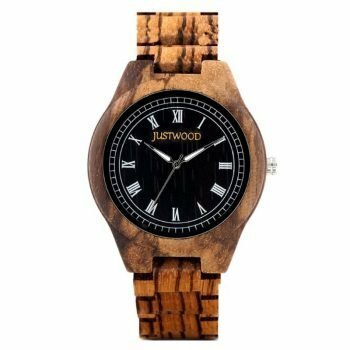 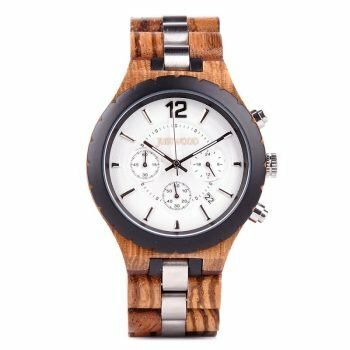 The wooden men’s watch design features light zebra toned wood that makes up not only the dial but also the center of the watch band as well. 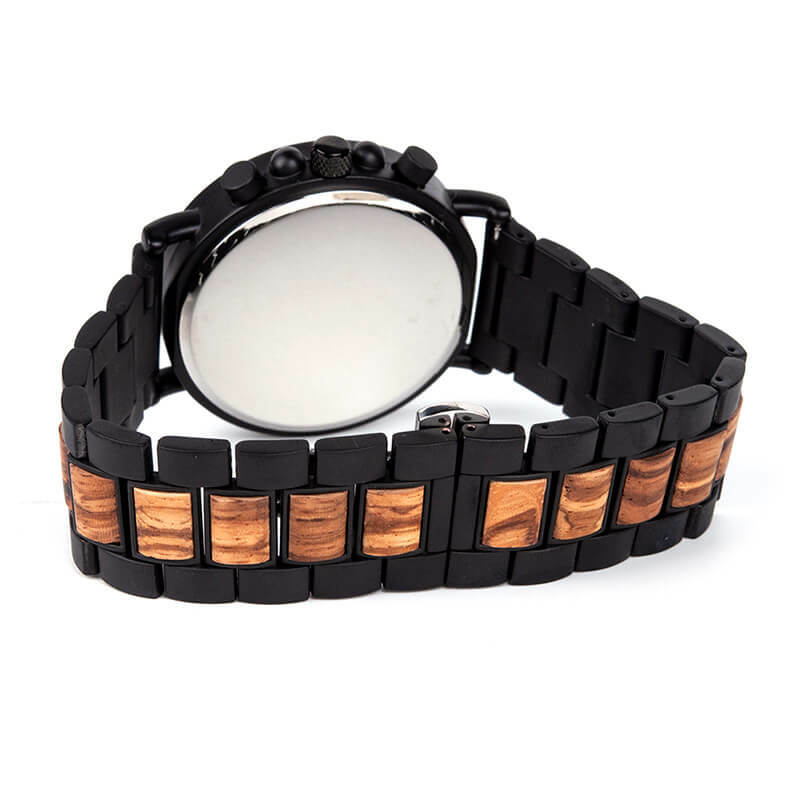 Ebony black wood lines either side of the band for added detail.